I received this Arc via the author in exchange for an honest review and in participation of the Sunday Street Team. I was pretty excited to hear that Edge of Wild was getting a sequel. I didn’t hesitate to participate in the street team. I am glad to say that I liked The Dark Divide! On Sadie and Jim’s (police officers) end they receive word from the Ohio police department that the unidentifiable finger print from the hotel break-in is linked to the prologue murder. After that student was murdered a fellow classmate at the time shot the police officer. And no one has been able to find the person. Waterton has yet another murderer in their midst. 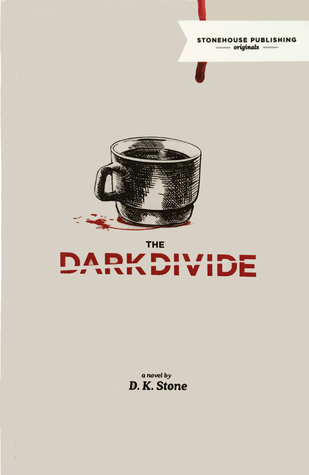 The Dark Divide was a fun and twisty book! 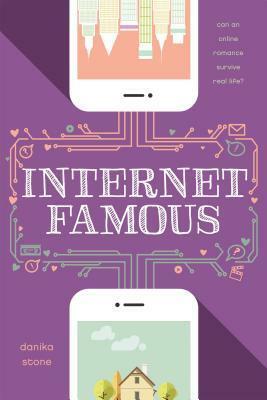 It is written in third person from various different characters’ points of views. There are emails and police documents. Also flashback’s and Lou’s visions. The Dark Divide takes place in 1999. The trial was a lot of fun to read about! I was desperately awaiting an answer. I enjoyed Rich’s lawyer and long time friend Stu. He actually knew his stuff. Lou also played a big part in the trial. As did some of the townspeople. Lou and Rich’s conflict’s about their relationship was well done! Lou has to try and mentally prepare herself to tell Rich some truths about herself. I enjoyed reading about Lou’s character development. And when Lou did tell Rich the truth, at first he was baffled. But then came around to support her. The mystery wasn’t as strong as it was in Edge of Wild. Nonetheless it was well done and pretty twisty. And yet again completely unpredictable. Some of the questions in Edge of Wild are answered. Jeff Chan makes an appearance. There is a new character that comes in, which rocks the townspeople’s relationships. His name is Alistair a movie maker who comes to Waterton searching for the ‘truth’. Alistair’s character does play a huge role in Lou’s story arc and character development. The backstory regarding Lou’s visions was fun to read about. Alistair also has visions and the two may have known each other in an another life. The mythology behind it and Lou’s mother was really well done! I also liked how their is an expansion regarding Lou’s abilities. You find out that she can do much more than in Edge of Wild. Another towns-person comes in (was on vacation) Levi. He has a lot of hostility towards Rich and Alistair. Levi has some unfinished history regarding Lou’s mother. He was somewhere in between frustrating and interesting to read about. I really appreciated that the Japanese internment camps were brought up! Stone did an excellent job bringing it up and making it apart of the story. It was important to some characters’ arcs. I had a few problems with it. The Dark Divide suffered a bit of middle book syndrome. It wasn’t as strong as Edge of Wild. I really don’t know what to make off the big reveal about Susan Varley. It was definitely not as ground breaking as the reveals in Edge of Wild. Alistair was utterly frustrating to read about! While his point of view was well done, I really really didn’t like him. Overall I liked The Dark Divide. I will definitely be reading the last book. I highly recommend it. 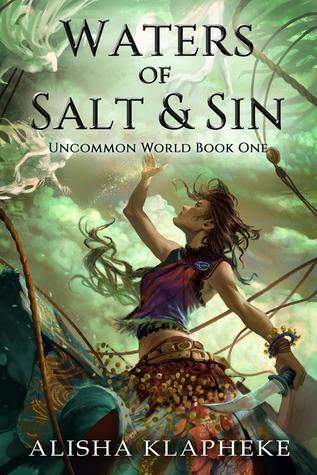 The first in the Uncommon World series, Waters of Salt and Sin combines the epic setting of Game of Thrones with the humor and romance of Pirates of the Caribbean. Perfect for fans of Sabaa Tahir and Sarah J. Maas. To save her sister from starvation and hold on to her relationship with Calev–the high-caste friend she secretly loves–Kinneret sets out for a lost island of silver. But when a madman enslaves her sister, Kinneret must make a deal with the local ruler: Help the leader find the island and secure the ruler’s place in history. In return, the leader’s fighting sailors will rescue her sister. *Note: This book is clean, but spicy kissing abounds. Disclaimer: I received an E-ARC via the author. Apart of the street team. This review is based on the final version. I heard about Waters of Salt and Sin on twitter. 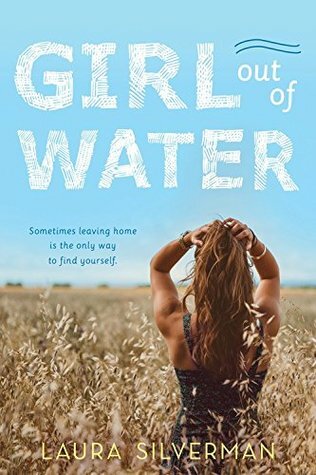 The author’s twitter post about her book came up along with the prequel. I read and thoroughly enjoyed the prequel. Naturally I the next installment. I am happy to say that I enjoyed it! I read Waters of Salt and Sin so long ago that I don’t really remember the beginning too well. During a job Kinneret takes a huge risk to get some money. This actually results in her sister being taken as a slave. An old family friend tells Kinneret about the treasure and gives her the information to go and get it. In order to get her Avi back, Kinneret makes a deal with their queen in exchange for Avi’s safe return. Waters of Salt and Sin really surprised me! It is narrated in first person in Kinneret’s point of view. The world was vivid and the magic system unique! I’ve never read about Salt witches before. The Caste system was explained in a lot of detail. A very brutal and cold world. It was easy to imagine myself amongst the characters. The characters were fantastic! My favourite was Oron. I loved the relationship between the sisters! It was well written and relatable. When Avi is taken as a slave Kinneret doesn’t stop until she can find her. It was realistic. The treasure hunt was a lot of fun to read about! There were obstacles, monsters, and a lot of plan changing. Kinneret and Calev’s relationship was great! I loved how well the forbidden romance was done. They went through a lot together and supported each other all the way. Especially when Calev killed their queen (he was taken over by a ghost). I was pretty happy when they were able to remain together. The last part of Waters of Salt and Sin was so intense! I was on the edge hoping for a happy ending. Luckily enough it came and there was a really sweet ending. My only problem was that there were times when things came easy to the characters. Despite their struggles and living in a cruel world that’s what it felt like here and there. Overall I enjoyed Waters of Salt and Sin! Highly recommend.